Her neck and nut brown-hair. The following is taken from Tipperary County:People and Places which is described as an anthology of people, places and sites in the history of Tipperary. It was published in 1993 and it's editor was Michael Hallinan. Michael was a graduate of Trinity College, Dublin. He occupied a number of important positions in the Civil and Public Service. He was born at Aughavolimane, Ballinamult, the southernmost townland in County Tipperary. 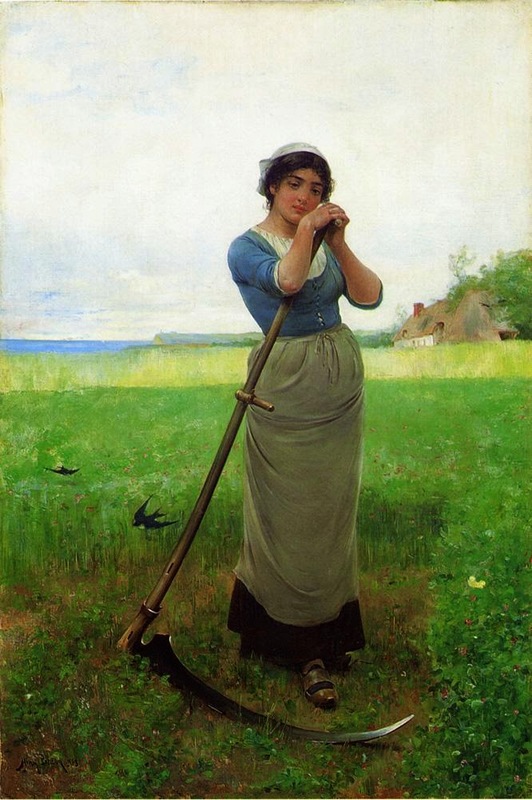 The Irish Peasant Girl was first contributed to the Celt in 1859. It was intended as a protest against the national evil of emigration, with special reference to the moral dangers to which young people were exposed on board ship in those harsh times. Kickham had been inspired by the fate of an exquisite gentle girl who pined away in exile, and who had sent some of her brown tresses, with a tender message, to her little brothers and sisters on Anner's bank at Killusty, Fethard, Co.Tipperary. The poet always called to see his cousin Catherin Carew, whenever trout-fishing in Killusty, and her departure for America. Michael Cavanagh of Cappoquin (later of Washington D.C.) who met Kickham in New York in 1864, on referring to Maid of Anner, was shown her photograph by him. "The face seemed to be of a girl of eighteen, of oval shape, every feature as perfect as a painter ever imagined. But its great charm consisted in an expression of angelic innocence"